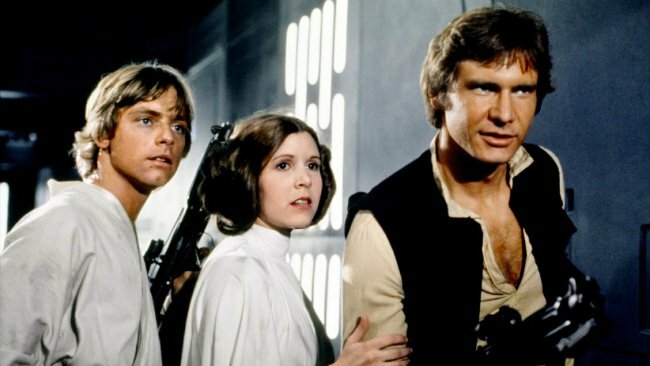 It’s hard to believe, but it was roughly 40 years ago to the day that George Lucas forever changed the world of cinema, and probably the world in general, by giving us Star Wars. Or, Star Wars: Episode IV – A New Hope, as some people refer to it as. It’s a hugely iconic and important film for a number of reasons and spawned what’s arguably the biggest franchise in any medium, ever. 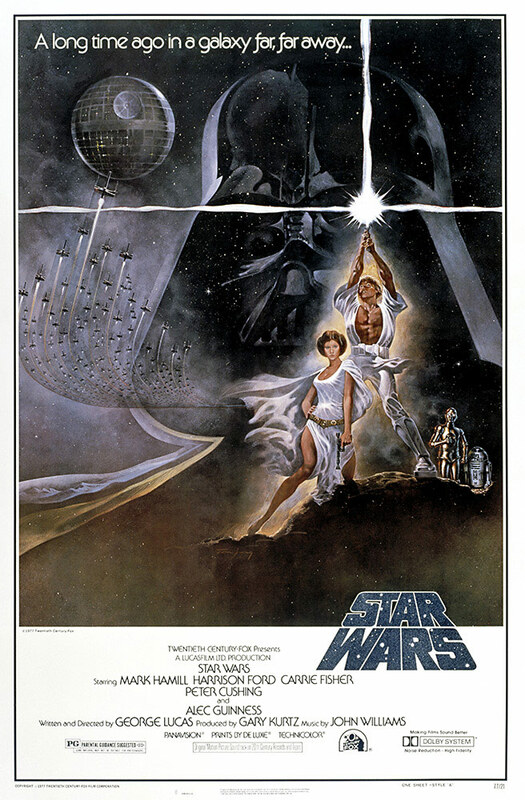 To celebrate the 40th anniversary, the official Star Wars blog has been publishing some interesting articles, one of which focuses on the poster used to market A New Hope. 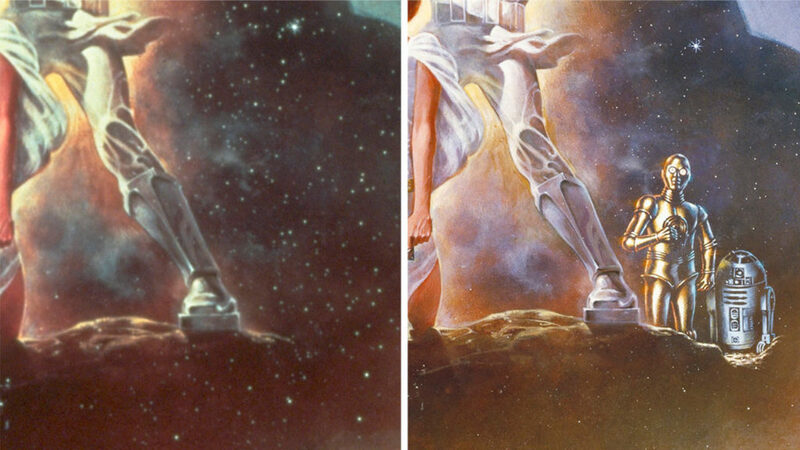 By now, it’s a very famous piece of work, designed and painted by Tom Jung back in 1977, and as far as movie posters go, it’s right up there amongst the best and most well recognized. But what’s even more interesting is that there are a few bits of trivia hidden within it that some fans may not have been aware of. In the aforementioned blog post, a few of these are brought to light. While none of it’s terribly shocking or revealing, there are a couple of fun things to pick out here. 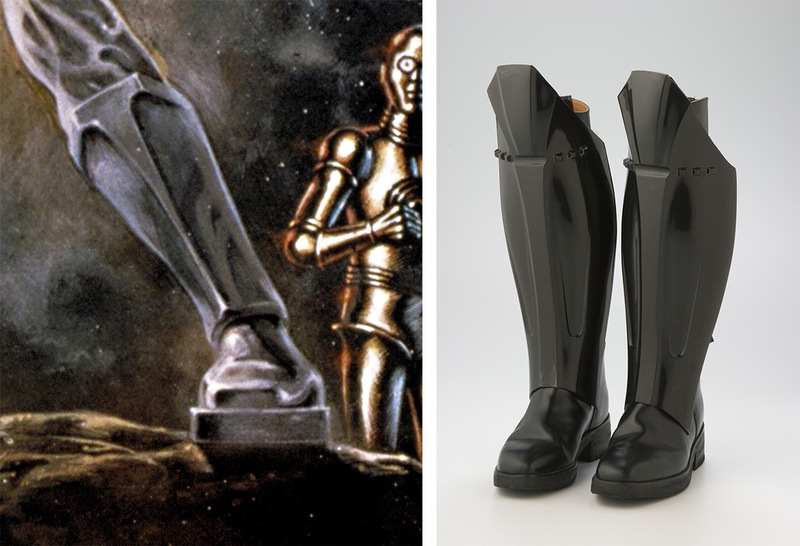 For one, you probably never realized that Luke’s wearing Vader’s shin guards, or that the droids, R2-D2 and C-3PO, weren’t always on the poster and were only added later. 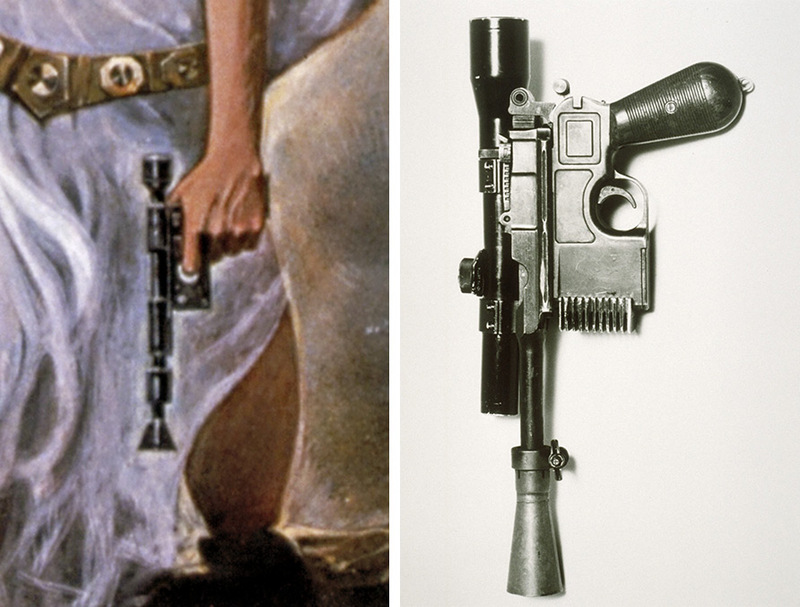 There’s also the fact that Leia’s holding Han’s blaster, rather than the one she’s seen using in the film, and that her outfit is different than the one that she was originally supposed to be wearing. Pretty cool, right? 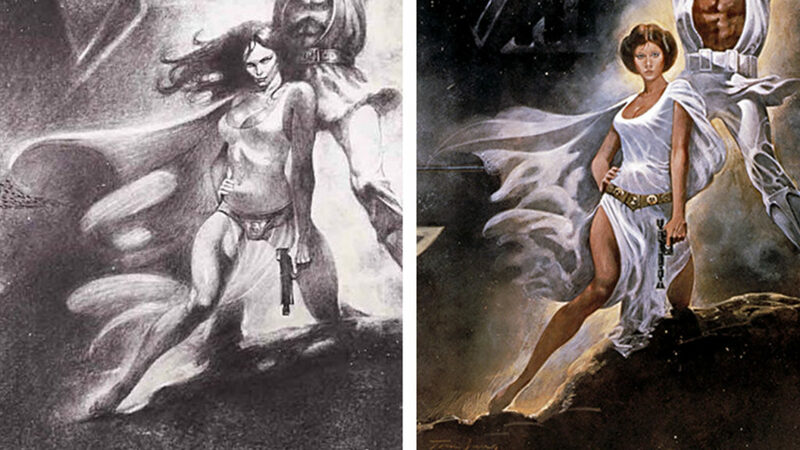 Again, none of this will stop the presses, but it’s never a bad thing to get more Star Wars trivia and fans will surely appreciate these new bits, if they weren’t aware of them already, that is. There’s some other stuff that the blog post dives into as well, so if you’re curious to learn more – which, let’s face it, you probably are if you’re reading this article – we definitely suggest checking it out via the link below. Looking away from the past for a moment though and into the future, on December 15th, Star Wars: The Last Jedi will make a beeline for theaters the world over and uncover the next – and seemingly crucial – chapter in the Skywalker saga. It’ll be followed by the Han Solo Anthology film and Episode IX. Not to mention another Anthology movie after that. Which character, or characters it’ll focus on is currently unknown, but Lucasfilm is set to reveal that information next month, so be sure to stay tuned for more!